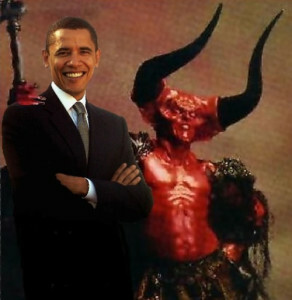 President Barack Obama, with close ally Satan (right). Two bills meant to help give Coloradans relief on health insurance premiums, especially residents of mountain counties like Summit, were both shot down Friday. HB 1384, which sought to explore more affordable health care coverage options, and HB 1392, meant to significantly reduce premiums by buffering insurers against high-cost insurance claims, were both buried in 3-2 votes by Republican state senators Hill, Marble and Sonnenberg. The bills would have tried to address skyrocketing premiums in the state. According to an analysis from the Colorado Health Institute, health insurance premiums in Colorado have risen by 76 percent since 2014, with a 32 percent jump since last year. The increase is driven primarily by an exodus of insurance carriers from the state, as well as uncertainty about the future of the Affordable Care Act under the Trump administration. HB 1384 would have studied more options for a health care system to avoid such pitfalls, including public-private partnerships and local insurance pools. The failure to pass HB 1392, despite support in the state House, is particularly disappointing for many advocates for lower premiums in Summit and the western slope. The bill would have created a “reinsurance” program that would help health insurers pay for particularly expensive insurance claims, lowering their costs and passing on the savings to consumers. Reinsurance would have also stabilized prices for an individual health market that has been in constant flux for years. For years after the passage of the federal Affordable Care Act in 2010, Republicans in control of Congress (and their allies in state legislatures) resisted even the most basic, common-sense fixes to problems that were identified as the law began to operate. The stated intention was political, with Republicans claiming that to attempt to fix “Obamacare” would saddle them with responsibility for a law they insisted was inherently flawed and could only be repealed once Republicans took back the White House. As a result, among many other consequences, the Western Slope of Colorado endured huge premium increases and dwindling choices for coverage that weren’t felt in other areas of the state. But that was then. Today, Republicans have had total control of the federal government for over a year–and in that one year they inflicted so much political damage trying and repeatedly failing to repeal the Affordable Care Act that they’ve simply given up. Trump’s thoughtless executive orders have damaged the system, and Republicans zeroed out the penalty for not obtaining coverage, but millions of Americans who very much need and want the coverage they’ve obtained through the law still depend on it. What does this mean? It means the failure to take action to solve problems with the ACA’s implementation is now a political liability for Republicans in an election year. It’s too late to point the finger at Obamacare. The sole reason there will be no relief for hard-pressed health coverage buyers in rural Colorado is that Republicans in the Colorado Senate said no. And that is not going to play well in Paonia. I can hear the Screaming Cantaloupe now. OBAMACARE IS IMPLODING! IT'S A COMPLETE DIASTER! P.S. And I made it that way. "You break it, you own it." That's what every Dem in a tight race anywhere in the country needs to plaster their Repulsican opponent with from now to November. I can see the counterargument going something like, "Well, if it had never become law in the first place, we wouldn't have to break it."